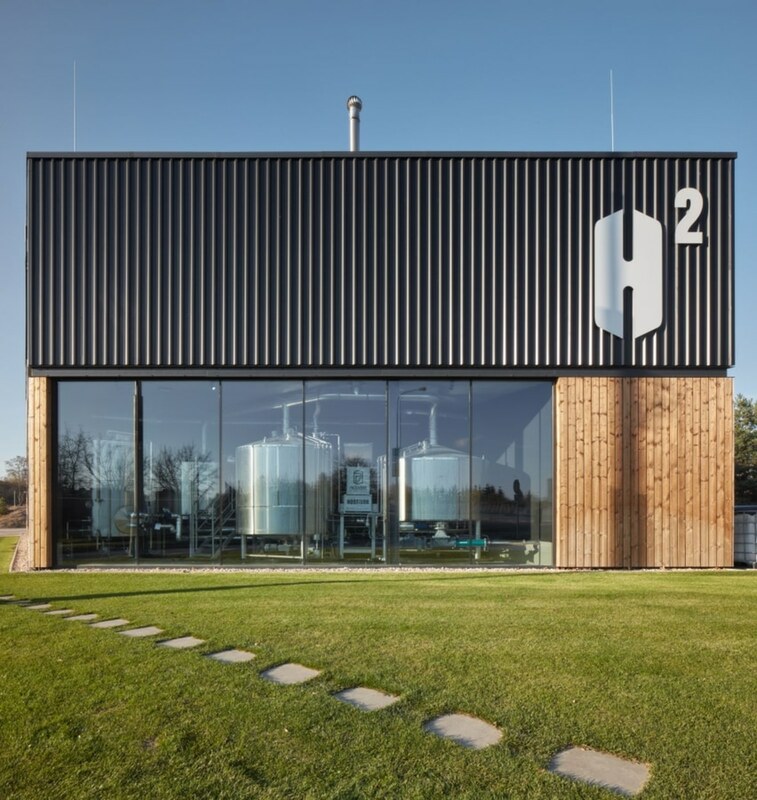 The brewery’s facade had wooden cladding, replaced with black profiled sheet metal cladding. 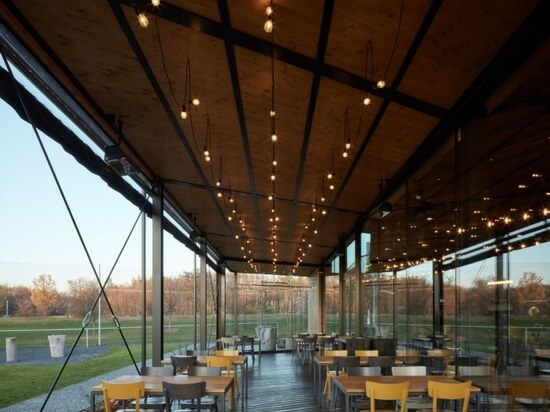 In key moments the facade is glass, opening the view into the restaurant or the brew house. The restaurant terrace is oriented into the garden where in summer we can find a small taproom and outdoor garden seating for the guests. 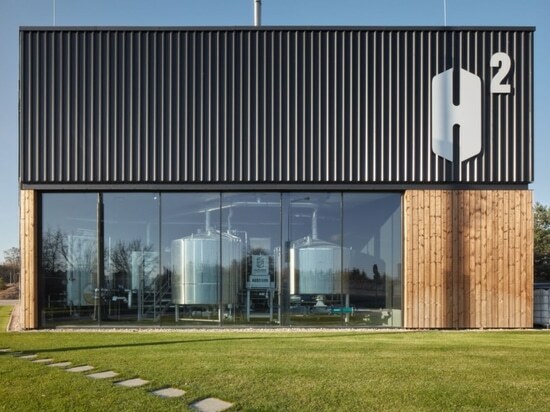 On the ground floor, there is most of the brewery’s operations. 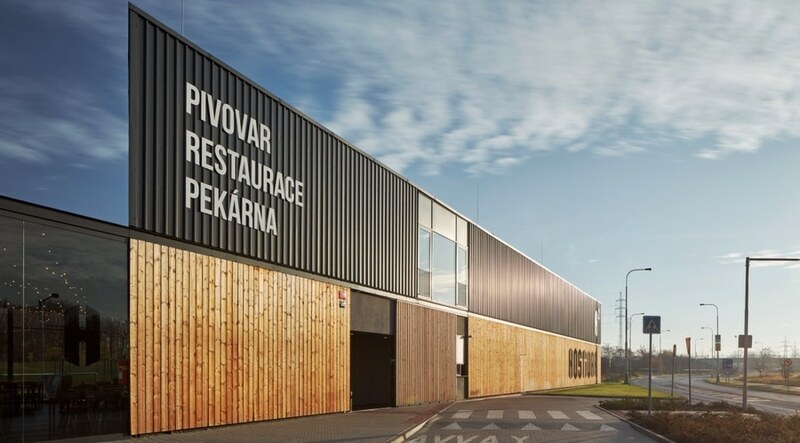 Directly linked with it is the placement of the restaurant and its gastronomy processes. 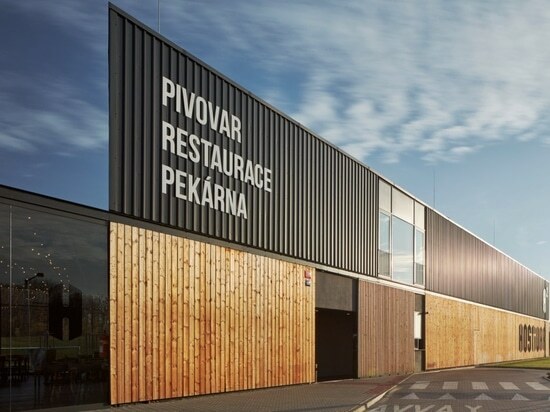 The restaurant entrance is from a lobby, embedded into the mass of the building. 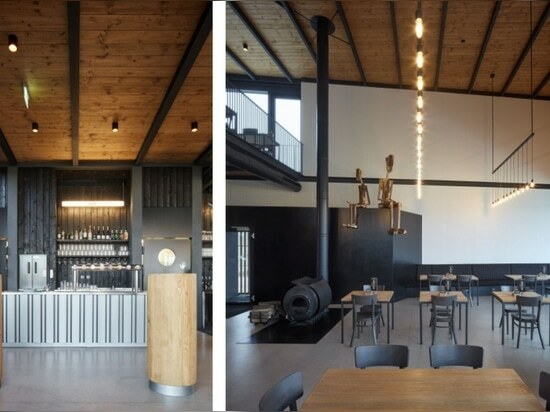 The restaurant’s interior consists of two floors. 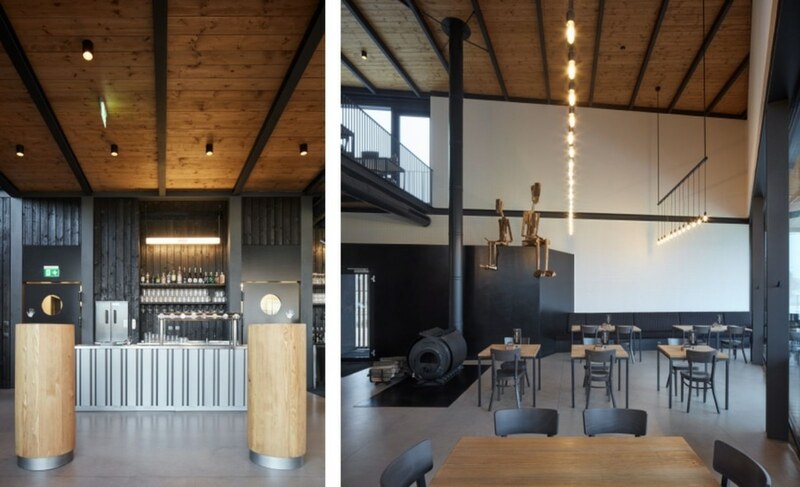 The bar with silver profiled sheet metal cladding and stove fire place dominate the ground floor. Access to the gallery on the second floor is by a steel spiral staircase. A distinctive element of the interior is the dark wooden cladding that runs through both floors. In contrast to which there is the white perforated plasterboard surface of the walls that helps with the acoustics of the space. 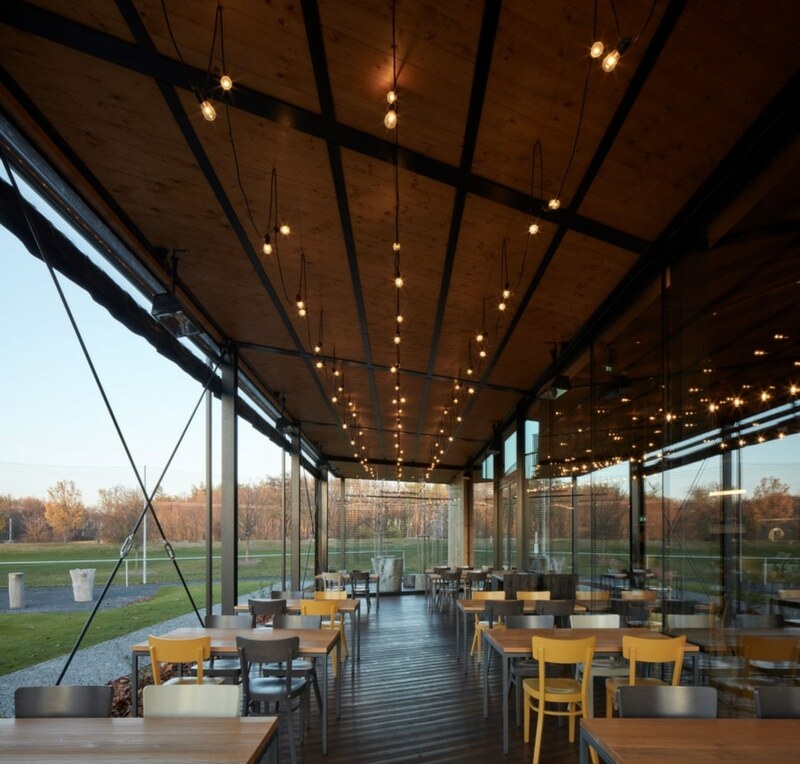 The restaurant is directly connected with the heated terrace which is partially glass, with areas that can be separated from the exterior by a plastic roller blind. On the second floor there is the mass production bakery, administrative spaces and space for the brewery. Source ADR.